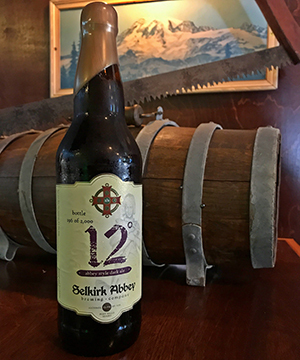 Selkirk Abbey Brewing Co.’s 12° strong dark ale is in Peaks and Pints’ cooler. There’s a tradition of leisurely beer-drinking embodied by “session” beers with lower alcohol content, rooted in a time when laborers could sit around drinking for a few hours without staggering home, or more likely back to work. But the craft brewing revival has also whetted appetites for the opposite type of excess: the “big beer,” full of flavor and extraordinarily high in alcohol content. In lieu of sucking down multiple session IPAs and lagers in your backyard kiddie pool, Peaks and Pints suggests a one beer buzz this summer. 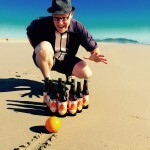 In Post Falls, Idaho, Selkirk Abbey Brewing Company produces 12° strong dark ale, the boldest of its Belgian-style brews. Beneath the sweet aroma and rich caramel, raisin and dark cherry flavors is a distinct alcohol warmth, which isn’t surprising given the 11.8 percent ABV. The layers of seemingly endless malt yield ever so slightly to allow hints of tobacco and leather in the finish. It’s rich, thick and well done.